Download SRL Networks Presents Chingy... coming soon to the SRL Record Store. Back at home in St. Louis, there is a calm in speaking to Chingy. You have to remind yourself that you're talking to the artist who pushed out hits like "Right Thur" and "Pulling Me Back." On the brink of his new album, "Chinglology," I had the chance to catch up with him. So what's changed since we last saw Chingy. There is a sense of self-awareness and accountability. A corner has most definitely been turned and he is looking to correct past behavior. "I want to become more of a leader," he says in looking back at lessons learned over the years. He uses words like "Positive" and "Great" in describing where he wants to go not just with this album but in life moving forward. A spiritual awakening of sorts is present in his energy and reflective in the album, specifically with the track "King Judah" which pays homage to the origins of the African man. Yes, it's deep. However don't sleep on Chingy's ability to put together hits, especially those to keep the ladies entertained. This will all be done tastefuly as he's taken the route of not disrespecting women, or beefing with other artists. Sounds like Chingy could be that breath of fresh air we've all been waiting for. On the current state of hip-hop, he believes there needs to be more positivity. "These kids don't know," says Chingy referring to the drugs and violence, which seem to be a theme in the ever changing rap game. That being said, he does like the work of artists like Drake, Wale, and Wiz Khalifa. Chingy was recently featured on VH1's reality show, "Couples Therapy." The show is built on the idea of couples trying to fix a relationship. He says that he learned a lot during that process, and that it was real and not an act for the cameras. It doesn't stop there... From 2013 to Now he's been working on a new reality show called "Business with The Baileys" a collaboration with his mom & sister, revamped his record label "FullDekk" & released the mixtape "FullDekk Fulloisphy" that features STL Artist, he's been to Australia not once but twice co-headlining with Fabolous & Omarion then again for a solo run and has released two singles on iTunes "Falling & "Damn Girl" while still touring all around the US. Chingy is a busy man and has no problem managing all these ventures. The way he sees it, why not succeed at all levels so long as the people and experience involved are all positive. To the critics and haters, Chingy is not listening. If you aren't breaking bread at his table, you're irrelevant. At the end of the day, he wants people to understand that he's just a regular, down to earth guy who enjoys history and who likes to bowl when he's not in the studio. 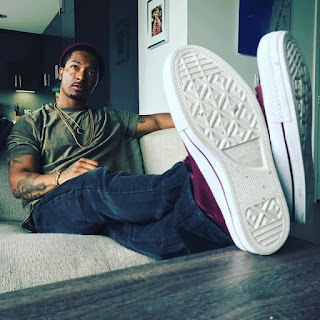 This new found maturity could be exactly what gets Chingy back to the top... and honestly, hip-hop can use a few more Chingys. Chingy grew up in the Walnut Park section of St. Louis, a neighborhood he has referred to as the "Bad Blocks." The middle child with two older brothers and two younger sisters, Chingy became a music fan at an early age. Chingy began writing lyrics at age 9 and was recording raps at age 10. He was originally known as H Thugz and was in the St. Louis, Missouri group Without Warning on 49 Productions with M.G.D. & Mysphit. They recorded "What's Poppin Off" together, which became a local hit. H Thugz and Augustin also recorded a music video for the song. H Thugz later chose the alias Chingy, a slang term for money. Chingy's debut album Jackpot was released on July 15, 2003 on Disturbing tha Peace. Unable to secure a distribution deal through Def Jam, Ludacris negotiated a deal to distribute the album through Capitol Records. Guest appearances included Ludacris, Snoop Dogg, Murphy Lee, I-20, Raindrop, Tity Boi of Playaz Circle, Trina, and Jermaine Dupri. Fueled by "Right Thurr", Jackpot produced the hit "One Call Away" featuring J-Weav and "Holidae In" featuring Snoop Dogg and Ludacris. The album was produced by St. Louis production crew The Trak Starz. The album was received well by critics. Within a year of the release of Jackpot, It was certified Platinum by the RIAA. The album sold 77,000 copies in its first week. Chingy's Winter Release of "Chances Make Champions" includes Hot tracks and New songs.. It's really a album. I'm Hurr, and You and Me, Aint Bout Nothing just to name a few. Summer set to release of EP " Chingology The 9 year Theory" will set a new wave in positive music to up lift our youth. He feel like this new spiritual direction for him will take his listeners on a new journey. One filled with better things to repeat to our youth. Still catering to his female fan base the single "falling" speaks to them. While track King Judah wakes up the wicked. He threw in "That's What's Up" as a bonus track. 2005 Chingy made his acting debut in the TV comedy series "My Wife and Kids". Also in 2005, Chingy acted in the TV comedies "One on One" & "George Lopez". In 2006 Chingy made a cameo in the comedy "Scary Movie 4". Also in 2006 Chingy made a guest appearance on "Yo Momma". In 2010 Chingy had a role in the movie "Speed-Dating" . 2016 "Where U Been get. Vega"
Listen out for hot new tracks by Chingy on Skunk Radio Live Hip Hop shows.